Newly published research by Keele Conference scientists shows that aluminum adjuvant in vaccines transfers to the brain. 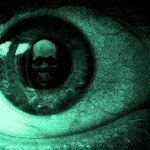 They have documented the path from injection site to the brain, and that once in the brain, it persists. 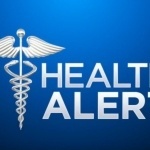 Newborns, the elderly, and people with a certain genetic variation are particularly at risk. A new study adds a major link in the association of aluminum adjuvants in vaccines with neurological disorders. It demonstrates the pathway along which aluminum in vaccine adjuvants is transferred from the injection site to the brain, where it persists indefinitely. They have also identified a likely carrier and a means by which the process occurs. 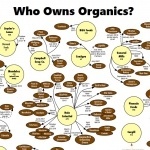 The study is exhaustive, eliminating a wide array of options that might mitigate against their findings. 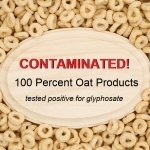 They also focused on two groups to determine if their findings indicate that they’re at particular risk. They include newborns and people with a certain genetic variant. On top of that, the elderly may be at significantly higher risk for aluminum adjuvant-induced neurotoxic harm. Please note that variant does not mean defective! We all have genes that are not like those of the majority. That does not indicate a defect, only a distinction. Viva la difference! The use of nanomaterials in humans is not as contemporary as is recently portrayed. For decades, alum, a nanocrystalline compound formed of aluminum oxyhydroxide, has been the most commonly used adjuvant in vaccines. Danger signals from the CCL2 cytokine draw monocytes, which causes them to convert to macrophages before migrating to lymph nodes. Dendritic cells (DCs) transfer antigens to a large network of distant dendritic cells, also known as antigen-presenting cells (APCs). Alum injections are known to incite “significant changes linked to activation of the innate immune system in distant organs”. These facts resulted in this study to detemine whether injected nanomaterials, most particularly alum, could be moved to distant organs through phagocytosis and CCL2 signaling. Experiments were done on laboratory mice. A fluorescent surrogate for alum particles, fluorescent latex beads (FLBs), was used to assess movement and distribution of intramuscularly injected materials. 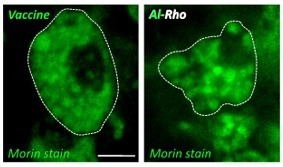 Morin stain and particle induced X-ray emission (PIXE) were used to assess movement of alum hybrids, Al-Rho, which match the particle size of injected adjuvant aluminum. Using graphics from the study, I will attempt to explain what was done, though not all aspects of the study will be covered. Standard C57BL/6 lab mice were injected in the tibialis anterior muscle (equivalent to a calf muscle in humans) with an alum-containing vaccine at a dose equivalent to that given to humans, with the amount calculated by an FDA standard. As is intended with an adjuvant, an intense localized inflammation ensued, which lasted until day 4 post-injection, when it stabilized. The local aluminum concentration decreased rapidly until day 4, remaining stable until day 21. Photographic images show spleen (left) and brain (right) tissues, with areas of PIXE imagery indicated with bright pink squares. The PIXE images showing aluminum loading are on the right side of each photo. The graph below shows the percent of areas in the brains found to have aluminum spots. Notice the small number in unvaccinated mice. The numbers shown on days 21 and 365, one year post-vaccination, demonstrate that the aluminum does not dissipate. 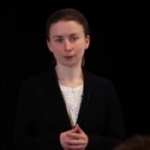 (The authors believe that the bar for day 180 is an anomaly, caused by either “interindividual variations in aluminum handling or to sampling problems related to variable proportions of grey and white matter in the randomly scanned areas”. The aluminum that makes its way to the brain is persistent. The image below shows the movement of FLBs by macrophages from the injection site to interstitial spaces in the muscle around it. Notice the bright red slash in the image to the left showing the fluorescing surrogates for alum, FLBs (fluorescent latex beads) one hour after injection. The right-hand image shows how they’ve been dispersed by macrophages four days later. 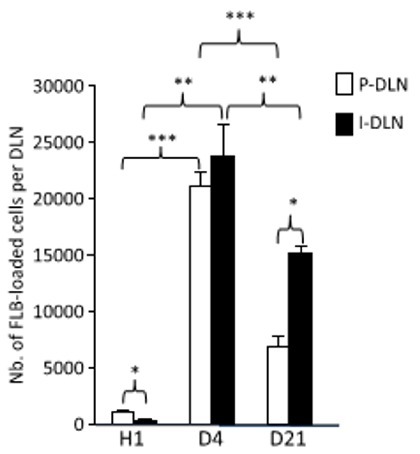 The image below is a graph of the number of cells loaded with FLBs (surrogate alum) found in popliteal (knee area) lymph nodes (P-DLN) and inguinal (groin) lymph nodes (I-DLN) at one hour, day 4, and day 21. Notice that movement of FLBs to lymph nodes is dramatic by day 4. Other images (not shown) document that this movement can be accounted for by inflammatory dendritic cells and macrophages that are derived from monocytes. 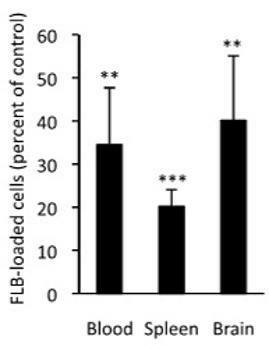 Another related part of this section of the experiment utilized injection of a compound known to inhibit FLB movement by phagocytes to popliteal lymph nodes. At day 4 movement to popliteal lymph nodes was down by 32%, and to inguinal lymph nodes by 69%. This treatment resulted in significant reduction of FLB in lymph nodes, further confirming that macrophages are the primary means of transportation to lymph nodes. After moving to lymph nodes, the FLB alum surrogates moved to the spleen, as shown in the image below. The left-hand graph shows the number of FLBs in the spleen peaking at day 21 and decreasing to a little over half that number on day 90. Compare this with the previous graph, which shows FLBs leaving the lymph nodes between days 4 and 21. This increase in FLBs in the spleen between these same dates indicates that they’re moving from lymph nodes to the spleen. The question then is: How does that happen? There is no connection between lymph nodes and the spleen. However, if you look at the graph below, you can see that FLBs are found in the blood, too. The authors surmise that the FLBs must travel in macrophages through the thoracic duct, the largest lymph vessel, which releases most of the body’s lymph into the blood system. Thus, macrophages carrying the alum-surrogate FLBs are transported from lymph nodes into the blood system, and then arrive in the spleen. 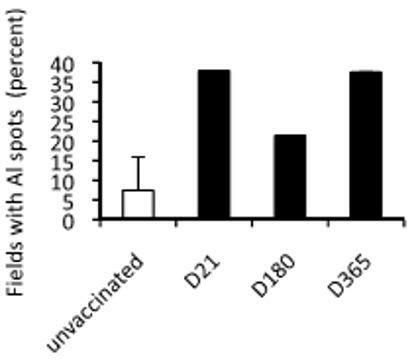 The authors wrote, “Cerebral translocation of FLBs was delayed but relentless until the d90 endpoint in C57 mice,” and the graph to the left shows it. Only a small amount of the alum surrogate injected into the standard C57 lab mice reached the brain on day 4, but you can readily see how the pace picks up by day 21, and more than doubles again by day 90, the endpoint of the study on C57 mice. The CX3CR1GFP/+ mice, indicated by the white bars, have an inserted gene that allows visualization of the microglia, which are a particular kind of macrophage found in the brain and spinal cord. As you can see, the FLBs were still increasing on day 180, the study’s endpoint for these mice. The image below shows FLBs in the brainstem of a CX3CR1GFP/+ mouse. The inset is a photo of a stained slice of brain with their locations indicated by dots. The larger image is of an unstained section on day 21 showing the FLBs located mostly just under the pia membrane, i.e., on the surface of the brainstem. Some C57 mice were given the FLB injection intravenously into the tail, rather than into the tibial anterior leg muscle. The result is shown in the graph below. 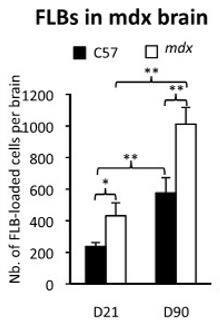 Notice that hardly any FLBs ended up in the brain by either day 21 or 90. Clearly, little, if any, immune response resulting in macrophages engulfing FLBs is triggered by an intravenous injection. After ablating (destroying) popliteal and inguinal lymph nodes, the number of FLBs reaching the blood, spleen, and brain was reduced by 60-80%. The graph to the left shows the percentage of FLBs remaining compared to controls. The number that reached the spleen was only about 20% and the number reaching the brain was about 40%. This indicates that movement of FLBs by macrophages to local lymph nodes is part of the process for movement of most FLBs—and by analogy, most alum—from injection site to organs, including the brain. One of the concerns in clinical procedures involving toxic elements on newborn babies is their weak blood-brain barrier. Mice with a leaky blood-brain barrier, called mdx, were used to see what happens in this situation. 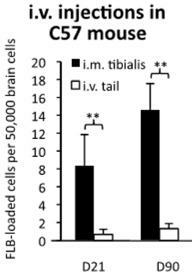 The graph below shows that, by day 21 the number of FLBs reaching the brain of an mdx mouse with a leaky blood-brain barrier is significantly greater than in a normal C57 mouse, and that this remains a problem over time. Images from the muscles, spleen, and brain chimeric (genetically engineered) mice with a green fluorescing protein confirmed these findings. The Morin stain for aluminum showed “Al-Rho particles were avidly phagocytosed after i.m. injection and formed intracellular agglomerates similar in size to the vaccine adjuvant”, as can be seen by the clusters in the “Vaccine” and “Al-Rho” images to the left. These images are similar to the first image of an aluminum-induced granuloma shown above. The Al-Rho nanohybrid surrogates for alum showed up prominently in the popliteal and inguinal lymph nodes, which are nearest to the injection site, by day 4, as shown in the left-hand graph. Most have moved by day 21, showing up in the spleen, as you can see by the middle graph. By day 90, you can see that a significant number of Al-Rho have left the spleen. However, from the graph on the right, you can see that they’ve been moving from the spleen to the brain. The movement is strikingly similar to that of the FLBs. The CCL2 cytokine is suspected to be at the center of some ASIA disorders because research has shown that ASIA patients have high amounts in their blood, along with a genetic variant related to CCL2. 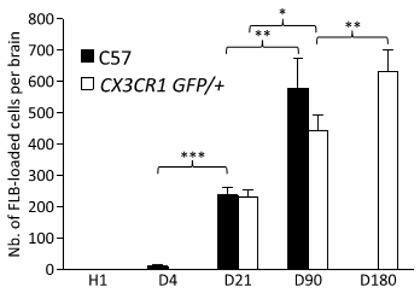 Mice bred to be deficient in the CCL2 cytokine were used to see what effect they have on distribution of the alum surrogate, Al-Rho, to lymph nodes and organs. In the left-hand graph below, you can see that there is significantly less movement of Al-Rho from the site of an intramuscular injection to organs. Compared with controls, 65% the amount of Al-Rho is found in the nearest lymph node at day 4, and even less, 34%, gets to the inguinal lymph node. On day 21, only 15% as much is found in the blood, 29% in the spleen, and only 18% as much Al-Rho is found in the brains of CCL2-deficient mice compared to controls. 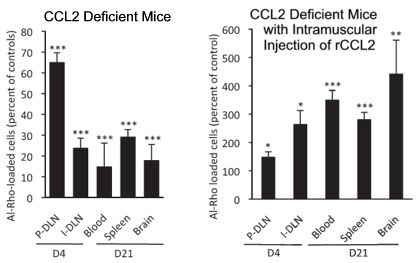 The graph to the right of “CCL2 Deficient Mice” shows the amount of Al-Rho found in the same kind of CCL2-deficient mice after they’ve been injected with rCCL2, a recombinant form of CCL2 that was used because no other version is available. The results are dramatically different. First, note that the y-axis scale is dramatically different, running up to 600%, instead of only 80%. By day 21, the rCCL2 injections increased distribution of Al-Rho to the blood by 274%, the spleen by 180%, and the brain by 341% as compared to controls. 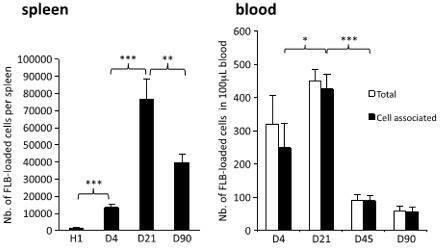 These experiments, along with others not described here, document that more CCL2 cytokines—which draw monocytes and dendritic cells to the site of inflammation—than normal are directly associated with the distribution of alum to the brain. First to the nearest lymph nodes. Through the lymph system’s thoracic duct. Through the thoracic duct into the bloodstream. Through the blood to the spleen and possibly partially directly to the brain. From the spleen to the brain. This process appears to occur in all mice, though at a slow rate. However, in mice with high levels of CCL2 cytokines, the process is speeded up dramatically. The study also documented that an inefficient blood-brain barrier, as is found in the youngest babies, allows significantly more alum through to the brain. The toxic potential of aluminum is high. This study has demonstrated that injecting alum adjuvants with vaccines results in transferrence to the brain, where it persists. Most people have a high tolerance to alum. However, there are limits in anyone. In the case of people with high levels of CCL2—such as those with a genetic variant leading to high CCL2 levels, as found in ASIA patients—even small amounts of injected alum can be disastrous. Consideration needs also to be given to the association of aluminum in the brain with Alzheimer’s disease, which is afflicting an accelerating percentage of people as they age. It is likely that good tolerance to alum may be challenged by a variety of factors including overimmunization, BBB immaturity, individual susceptibility factors, and aging that may be associated with both subtle BBB [blood-brain barrier] alterations and a progressiveincrease of CCL2 production. 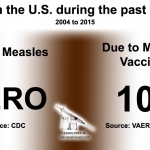 With the rapidly increasing number of vaccinations recommended, and even mandated, in schedules, along with the increasing number of people suffering from chronic neurological and autoimmune disorders, surely it’s past time to sound the alarm. At the very least, serious research to investigate these risks must be launched. The researchers involved with the Keele Conference are doing valuable research aimed at identifying and mitigating these risks. It’s long past time for the agencies supposedly concerned with public health to follow these leaders of science. Dr. Exley was the conference administrator and has published a large number of studies on the topic, not to mention being involved in several of the studies and references of this conference. Dr. Gherardi presented his latest work on macrophagic myofasciitis (MMF), a new vaccine-associated disease, indicating that the cytokine CCL2 is not simply a biomarker of MMF inflammation, but is also associated with its pathophysiology. He suggested that CCL2 should be investigated in relation to other autoimmune/inflammatory syndromes (ASIA). Dr. Authier reported on a new non-invasive method to diagnose MMF, which has hitherto been diagnosable only via muscle biopsy. He also suggested that MMF is probably more prevalent than currently realized. * Unattributed quotations are from the study.